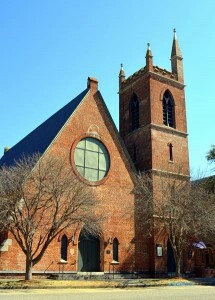 Historic places. Social graces. Sacred spaces. 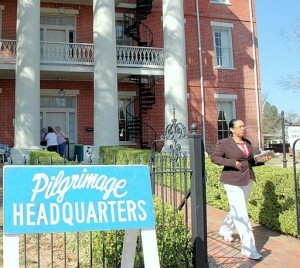 Spring Pilgrimage offers visitors a chance to experience hands-on history through guided tours. This year marks two special anniversaries. Observe the 150th anniversary of the Civil War Battle of Selma by strolling the town’s Civil War Trail anchored by brand-new historic markers or visiting the homes that saw the two sides converge here near the end of the war. Remember the 50th anniversary of the Voting Rights Marches by viewing special exhibits such as photojournalist Spider Martin’s iconic voting march photographs and see where two Nobel Peace Prize winners talked and dined. Cross the famous Edmund Pettus Bridge and remember the courage of the thousands who overcame violence and hardship on their 1965 Selma to Montgomery March for voting rights. 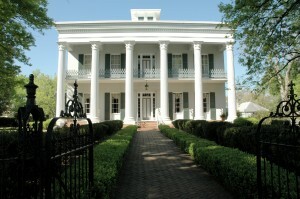 Tour historic homes and museums from the Civil War to Civil Rights and Beyond. 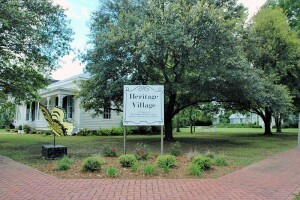 Heritage Village is the site of several 1800’s structures that were donated to the Selma-Dallas County Historic Preservation Society by private individuals. Included are four relocated historic structures: McKinnon-Riggs doctor’s office, 1830 Calhoun law office, Siegel servant quarters and a historic pigeon cote, displays of 19th century equipment and furnishings. This will be the very first time this home is open to the public! 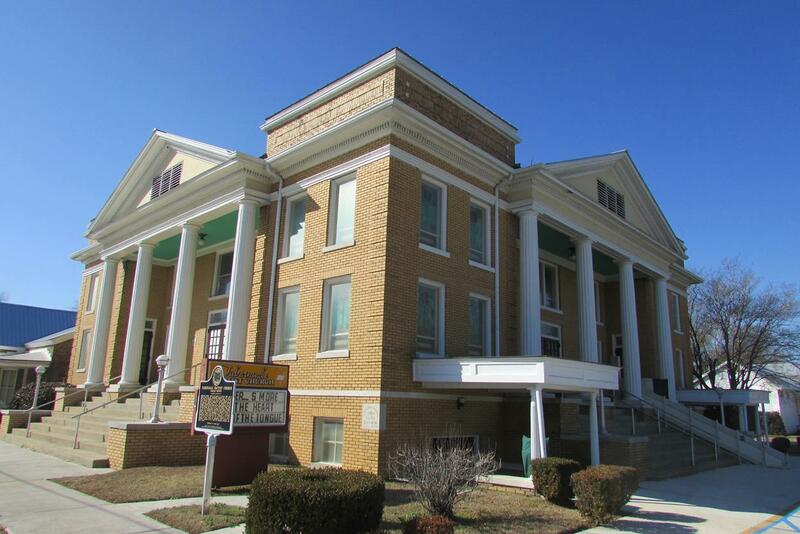 Tour where Martin Luther King Jr. planned the historic Selma-to-Montgomery march. He met with civil rights leaders Andrew Young, John Lewis and James Bevel in its breakfast nook and at its dining room table. On March 15, 1965, he sat in its living room watching the president announce the drafting of the Voting Rights Act. A private home that has never been opened to the public before. 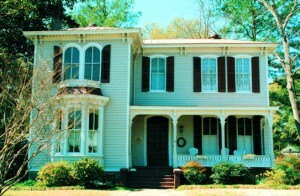 The ornamental architecture is highlighted by the striking bay window to the left of the porch, with double arched windows above. This two-story Italianate home was built in 1869 for Gus Jordan and stayed in the Jordan family until 1978. Locals remember former Auburn Coach Ralph “Shug” Jordan visiting the home and playing catch in the yard. 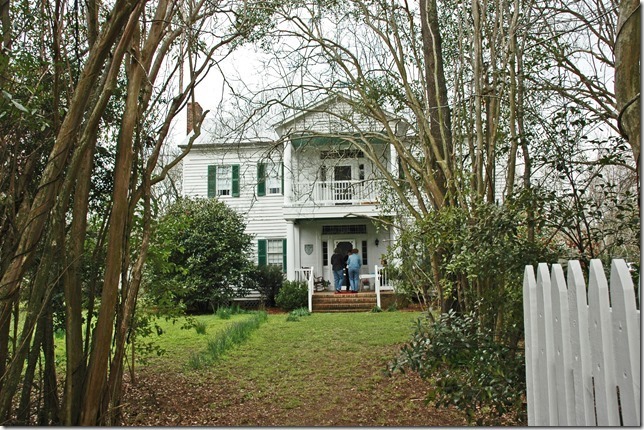 Weatherboards creaked as Mrs. Frances John Hobbs hid her husband’s jewelry store silver inside the walls of this home, before Yankee looters razed much of Selma. 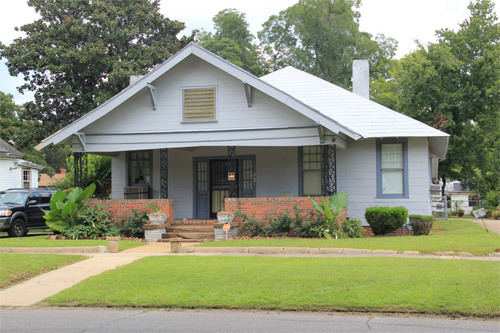 Look closely at the north wall of this one-story raised Greek Revival cottage where it was damaged by gun-fire during the Battle of Selma. 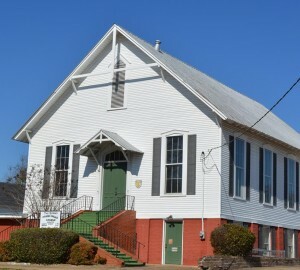 The Methodists were the first denomination to organize in Selma in a wooden church around 1817. 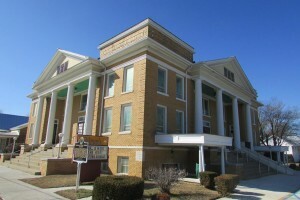 The present building is the third structure to house the congregation on this same site. The impressive Romanesque building was completed in 1901. The beautiful stained glass rose window on the Dallas Avenue side of the sanctuary is a memorial to the founders. First Baptist Church, constructed in 1894 in the Gothic Revival style by a local black architect, Dave Benjamin West, is considered one of the most architecturally significant late-19th-century black churches in the state. 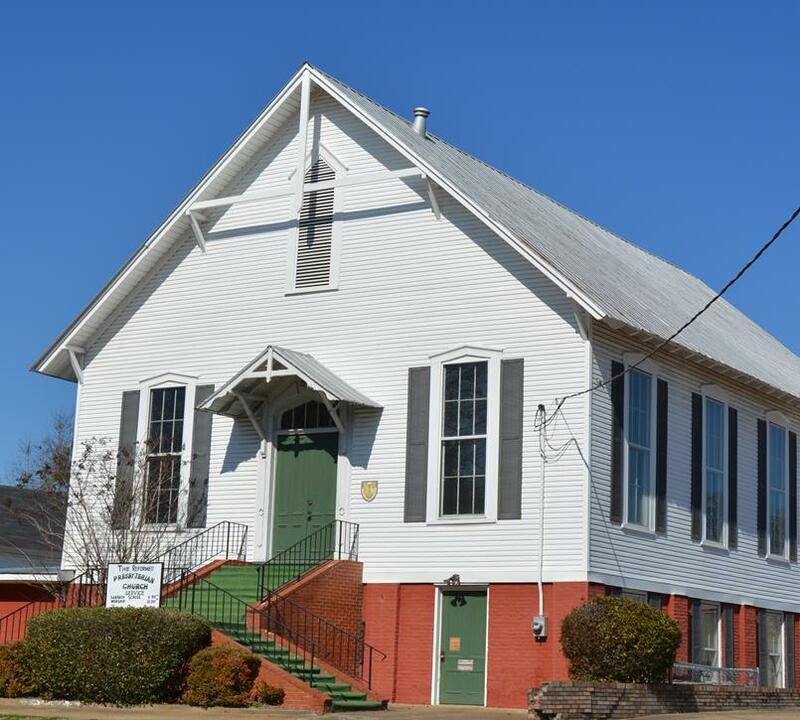 The members of First Baptist Church allowed the Student Nonviolent Coordinating Committee (SNCC) to use their church as the planning site and organizational headquarters of the Selma campaign. Even though the Baptists organized in May 1842, their first church wasn’t built until 1850 at the corner of Church St. and Alabama Ave. 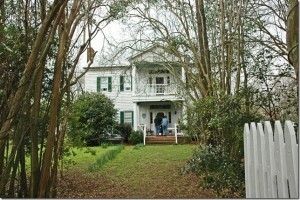 The first minister served as a chaplain to the Selma troops for the Civil War and became the first casualty of the Civil War when he drowned in Mobile Bay. 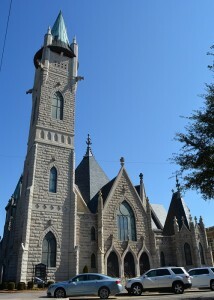 The current building was erected in 1904 in the High Gothic style with two Tiffany stained glass windows. Selma’s Catholic community dates back to 1850 when they met in homes. Construction of this building started on St. Patrick’s Day in 1869 using stones from the ruins of the Confederate Military and Naval Works. German architect A. Von Fichert designed the Gothic church. 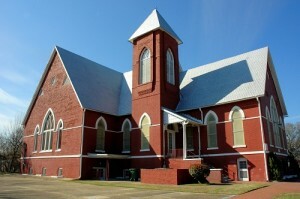 This church was built in 1878 under Rev. Lewis Johnson, the first African American to be ordained a Reformed Presbyterian minister. The church served as headquarters for the Concerned White Citizens of Alabama when they came to march for black voting rights. 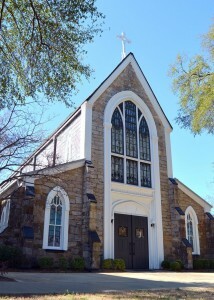 Pastors and members of this congregation have played many important roles in our community. 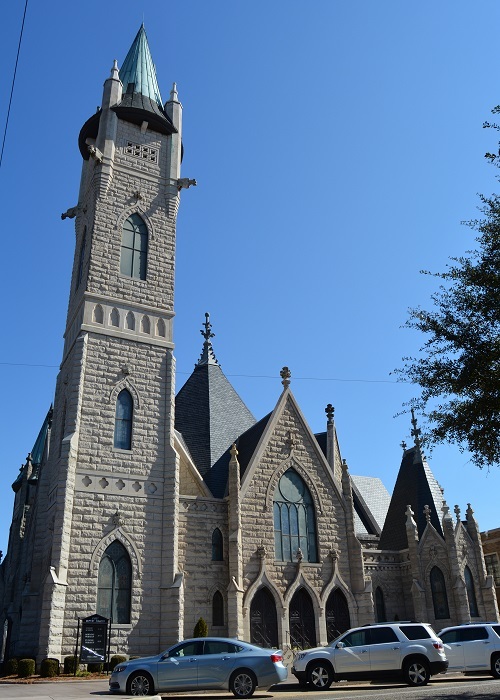 This English Gothic Revival building was completed in 1875 and designed by the Upjohns, noted New York architects. The interior features several Tiffany stained glass windows designed by parishioner and Selma native, Clara Weaver Parrish, who was a noted artist who worked for Tiffany Studios in NYC. Join us for lunch served in Parker Hall on Saturday from 11 to 1 for $10. 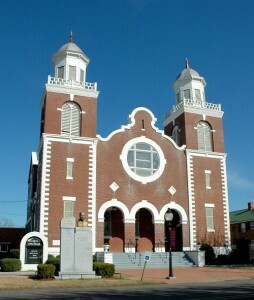 Tabernacle Baptist ChurchThis church in the Classical Revival style was designed by noted African American architect David T. West and built in 1922. They are proud of many of its members and pastors who have made an impact in the state and nation. Rev. 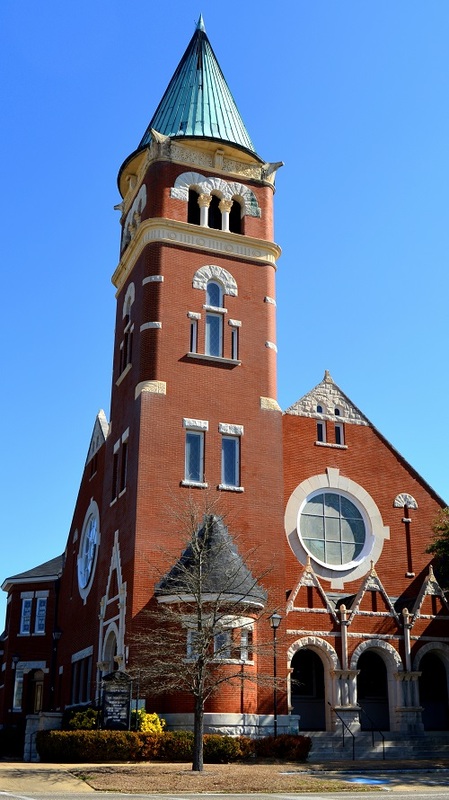 L. L. Anderson offered it to civil rights activists from SNCC to hold the first Selma mass meeting as the church began a significant role in the movement. 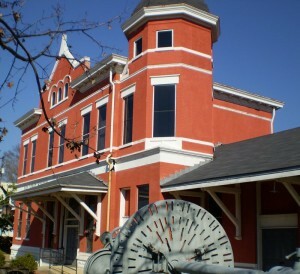 The Old Depot, c. 1891Immerse yourself in Selma and Dallas County’s past with a visit to the Old Depot Museum. 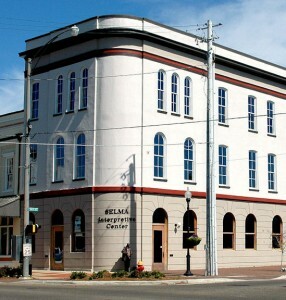 The Old Depot Museum offers a window to Selma’s rich past. Journey from the town’s founding in 1820 through the Industrial Revolution and past the Voting Rights movement of 1965. 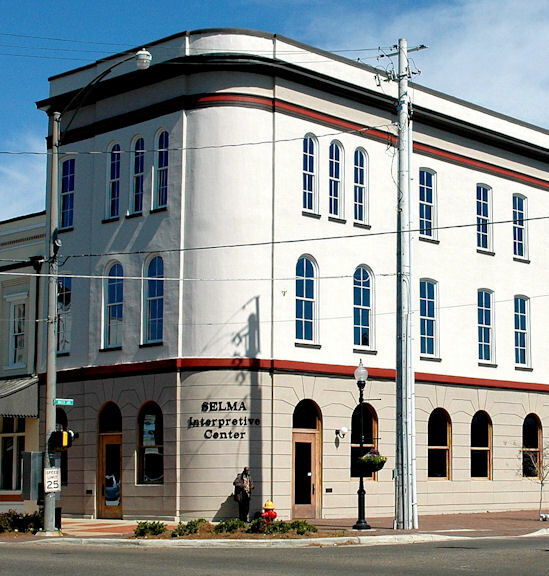 The Depot was built on the site of the Confederate Naval Foundry which was destroyed by Federal troops during the Battle of Selma in 1865. 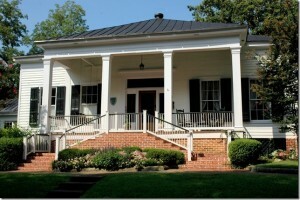 Vaughan Smitherman Museum, c. 1847Honoring former Mayor Joseph T. Smitherman, who was instrumental in its preservation and restoration, it houses an extensive collection of Civil War memorabilia and exhibits of medical and political artifacts. The museum proudly displays exquisite Victorian antiques, nationally acclaimed art from local artists, antique documents, military memorabilia and uniforms, and medical equipment. Outside the building, the tranquil gardens beckon visitors out for a stroll along brick walks and among flowing fountains.